February 24th, 2012 saw the official launch of the Bone Marrow Registry in Nigeria. Audience members had the pleasure of hearing inspiring and informative speeches from our many distinguished guests! 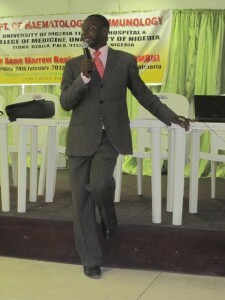 It was truly a successful and happy day for the future of Nigeria’s health care sector. Many thanks to all who attended. 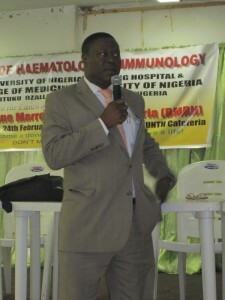 Below are some pictures from the exciting event. 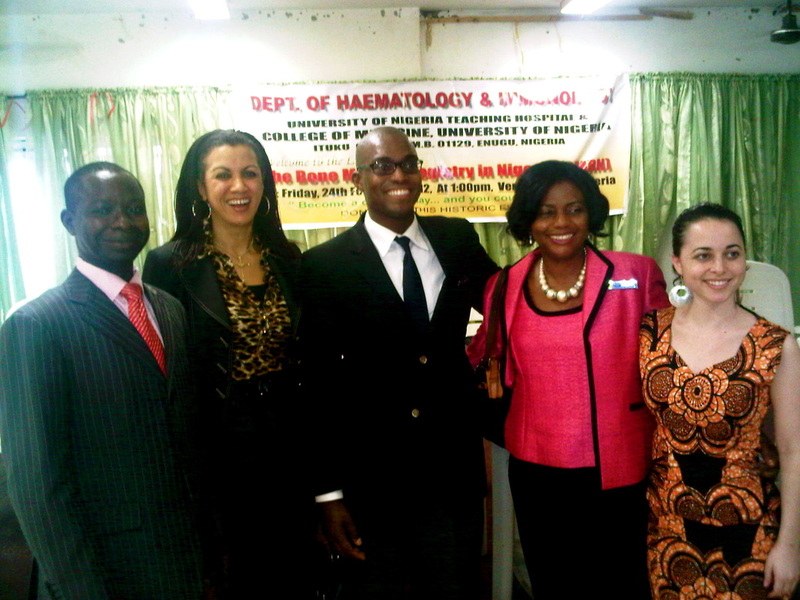 Dr. Sunday Ocheni, Dr. Anthea Nwandu of the University of Maryland, Seun Adebiyi, Professor Ifeoma Okoye, and Liana Schapiro celebrate a successful launch! 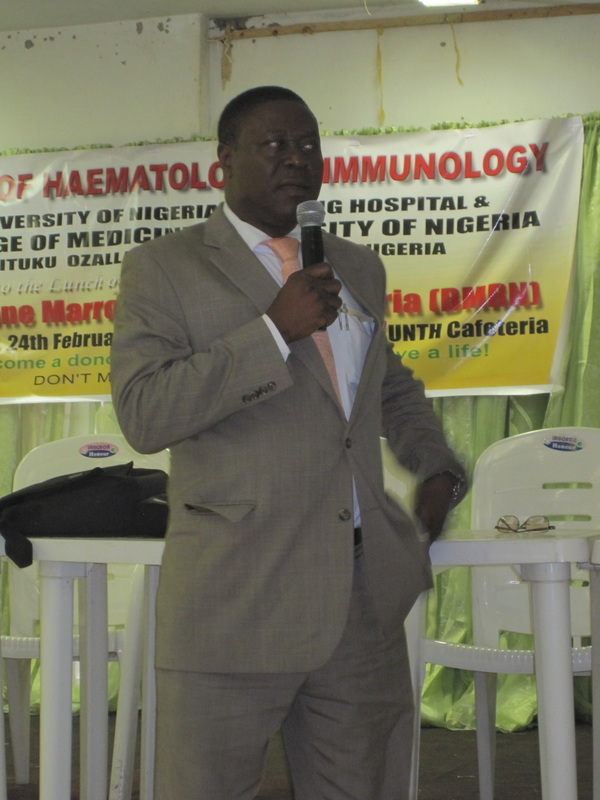 Dr. Sunday Ocheni, Co-Director of the BMRN, begins the speeches with an informative look at Haematology, and the history of bone marrow transplants. Professor Alex Akpa of the National Biotechnology Development Agency spoke about exciting developments in Nigeria concerning bone marrow transplantation. Dr. Nnenna Ezeigwe, Director of the Federal Ministry of Health, praises BMRN for helping to advance healthcare in Nigeria. 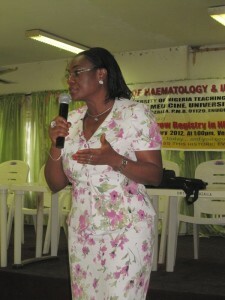 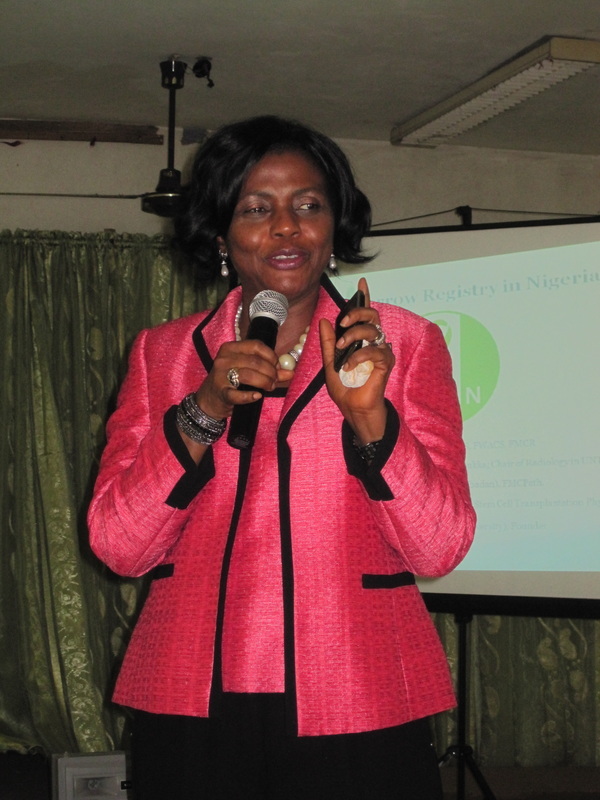 Professor Ifeoma Okoye, Co-Director of the BMRN, gives an inspiring speech about how the Registry came to be. 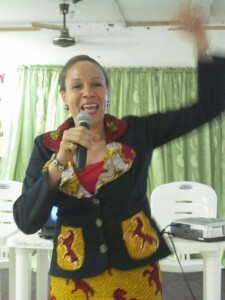 Dr. Anne C. NDU, Chairman of the UNTH Medical Advisory Committee, leads the crowd in a cheer. 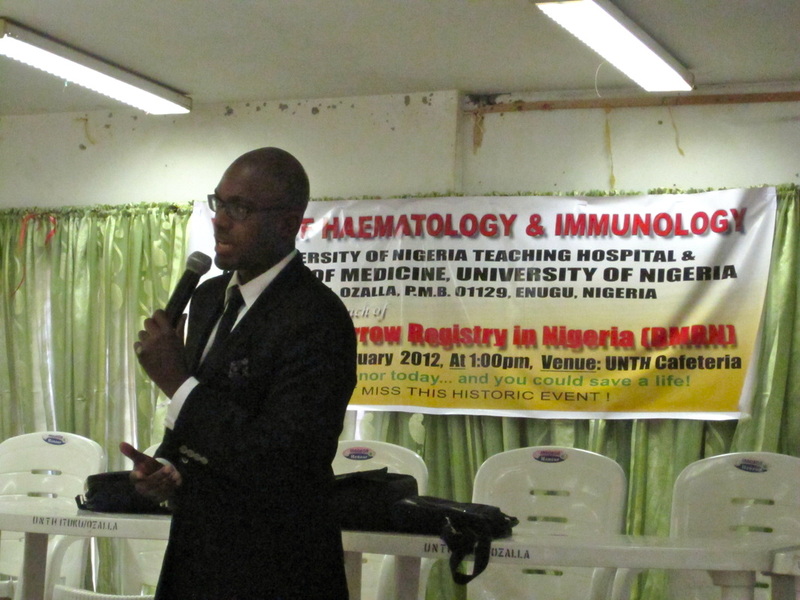 BMRN Founder Seun Adebiyi shares his inspiring personal story with the audience. 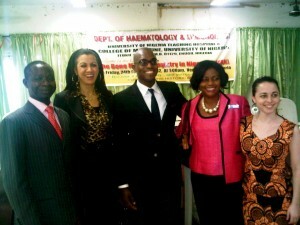 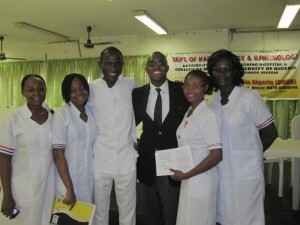 Founder Seun Adebiyi and UNTH students snap a picture following the event. 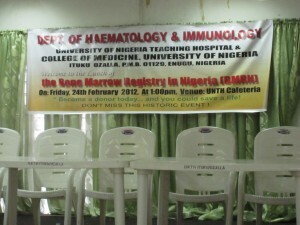 A banner announcing the launch hangs in the University Hall.